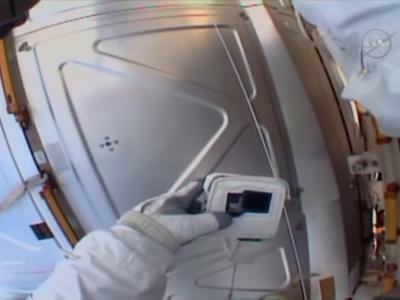 You might not have thought about it, but every time you use your iPhone, smartphone or tablet, you're actually using a lot more computing power that it took to put man on the moon. It kind of puts things into perspective. Now what most people use their devices for is none of my business, but when it comes to photographers, I think there's a lot to win if you use the right apps. Your smartphone and tablet are full of potential, so I thought it'd be a good idea to share our favorite apps list with photographers. Most of them are available for both iOS and Android devices, while some of them can only be downloaded for one OS. 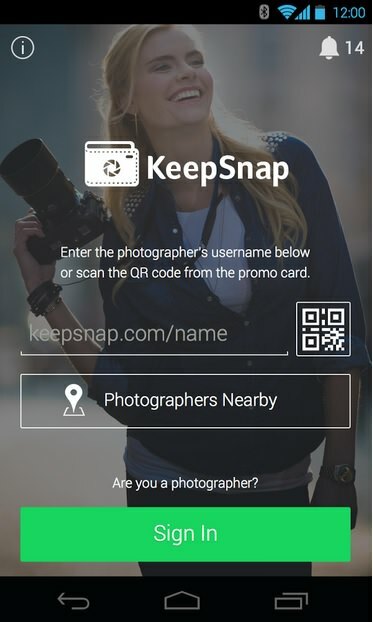 KeepSnap is a new platform, and there I say my favorite, designed to help photographers of all levels make money shooting portraits of people around them. All you have to do is go out, take great looking pictures of people, hand them a promo card with a link to your gallery and make money by selling the photos. 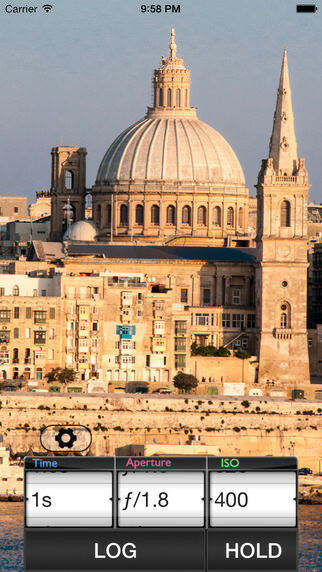 The app helps a lot because it gives you the option to turn on the discoverable mode which makes it easy for customers to find you on the map online as well as connects you with the clients if you got listed in KeepSnap photographers' directory. It also helps you manage sales and statistics fast and easy and create galleries on the go. 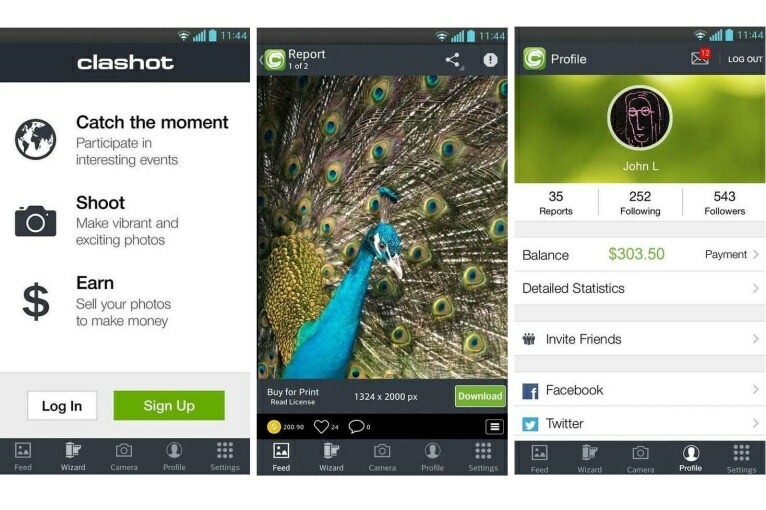 This app brings two ways of making money to the table. You can either complete a challenge set by a third party company, something like "big cities" or "photographers in action", or you can just upload photos you really like to your portfolio and companies can buy them directly. Clashot is fun because it's simple. You don't have to get busy categorizing your photos. 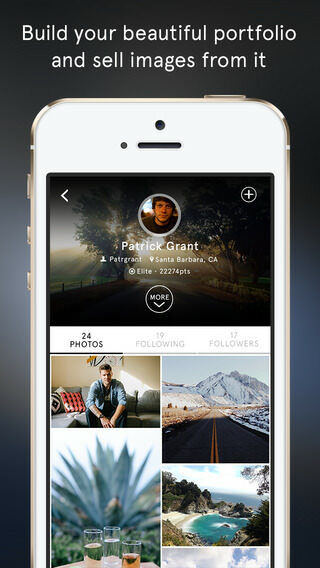 Just shoot what you love, upload to the app and get rated by followers. People who really like your work can buy it and there are no limitations when it comes to how many times you can sell a photo. The more you upload the better chances you have of getting paid. 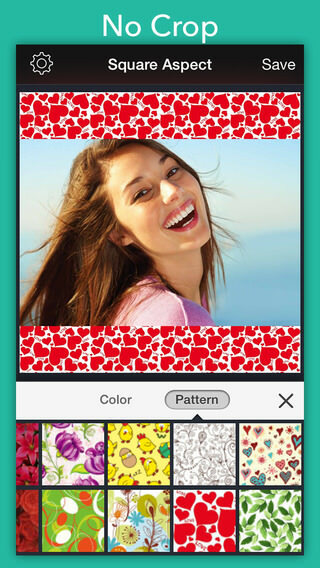 If you're a fashion lover and serial selfie taker, this is the app for you. All you have to do is take a picture of your outfit for the day, and scan the barcodes of the individual pieces or search for them online. People will then be able to buy them and the more they purchase an item from your profile, the more points you earn. You can then turn those points into money or other prizes. 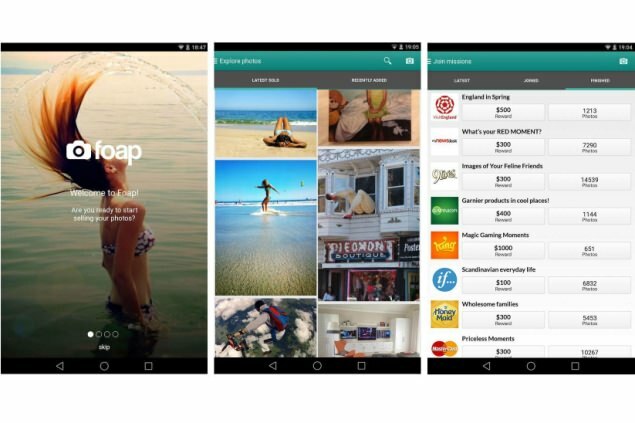 Foap also allows you to post whatever photos you love, but you can also complete missions with very specific tasks. After each mission is complete, the winner is selected and gets the money. One thing that separates this app from the others is speed. Challenges from companies only last one day, so you have to get busy shooting quickly. You'll also know the winner much faster. 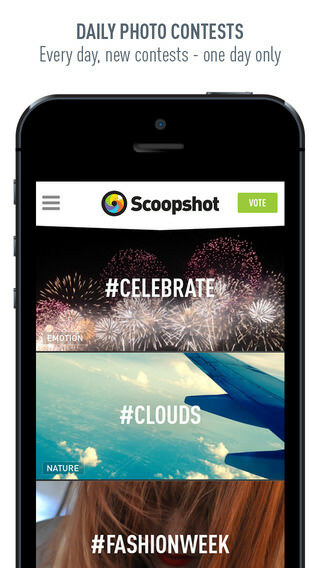 Scoopshot also has an integrated social media part that allows you to browse photos from other users. 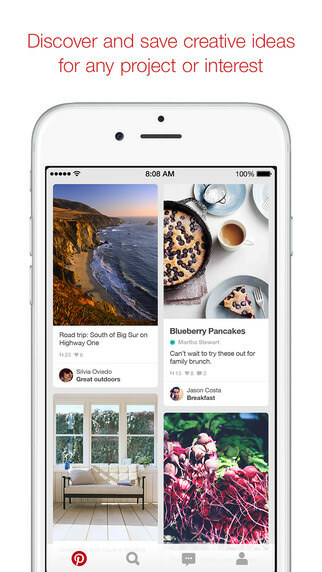 According to this app, it's "the world's largest crowd sourced image catalog". I don't know if that's the case or not, but what's important is that it puts photographers in connection with companies willing to pay for original photos. 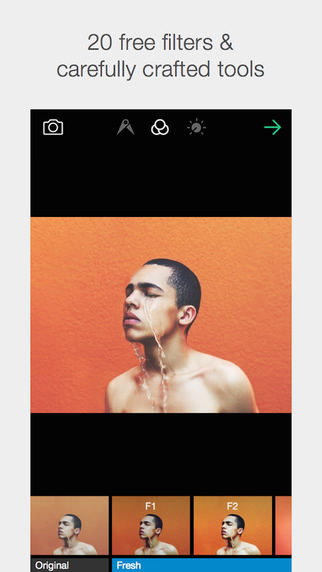 VSCO stands for Visual Supply Company and their mobile app is an absolute treat. 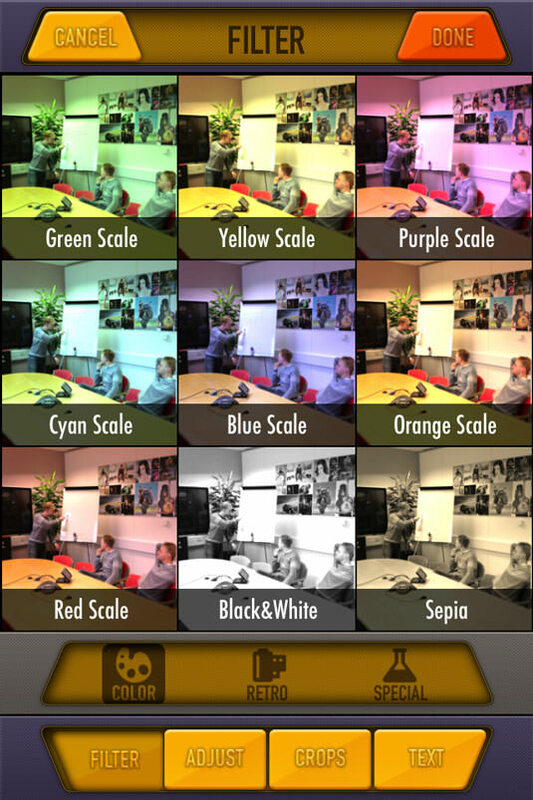 If you love playing with colors and tones, while keeping a natural, film-like look, there is no better app than this. 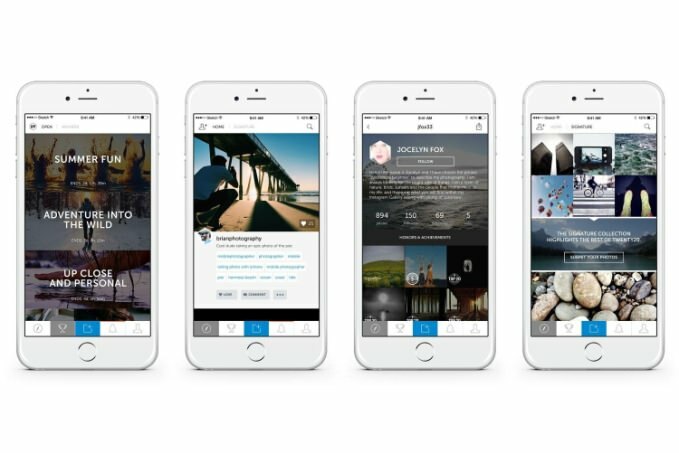 VSCO Cam is clearly oriented at the serious photographer with an eye for interesting stuff, and their social platform called VSCO Grid is a selection of beautiful photography enhanced with their filters. 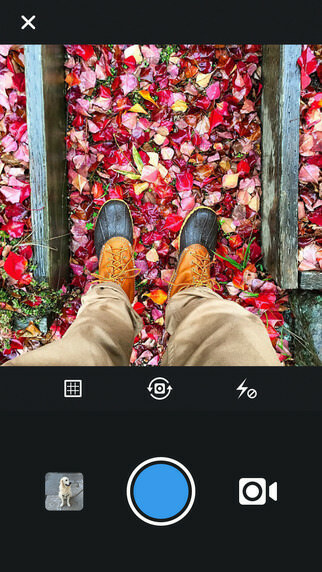 Snapseed really is a powerful editing tool that gives the photographer editing options similar to larger platforms like desktops and laptops. 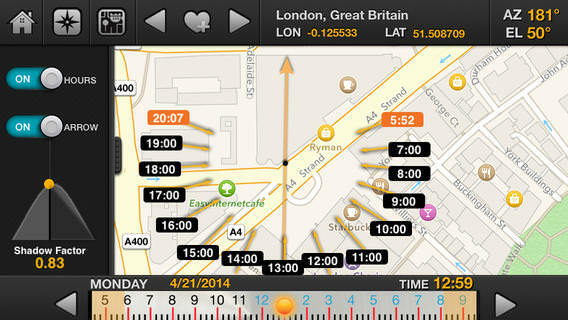 Its local adjustment capabilities are really useful and effective and you won't get anything better from any other app. 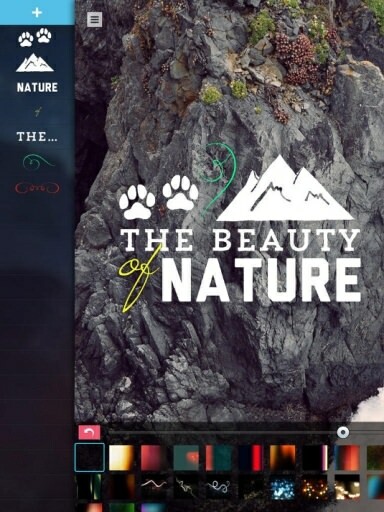 This app brings some of the cool features of Photoshop to your phone screen. 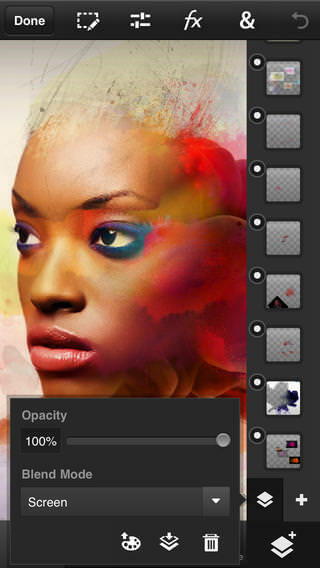 You can use layers, adjustments, filter brushes and selection tools to enhance your work on the go. 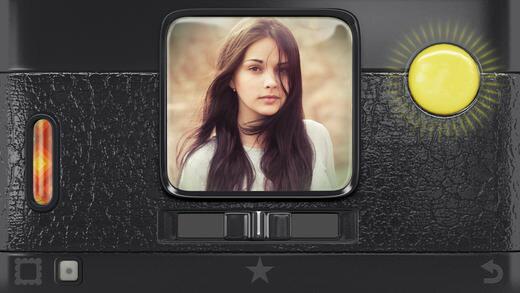 This was the original app to introduce vintage filters and the trend caught on like wildfire. Hipstamatic is still a good app for giving your photos that extra touch. 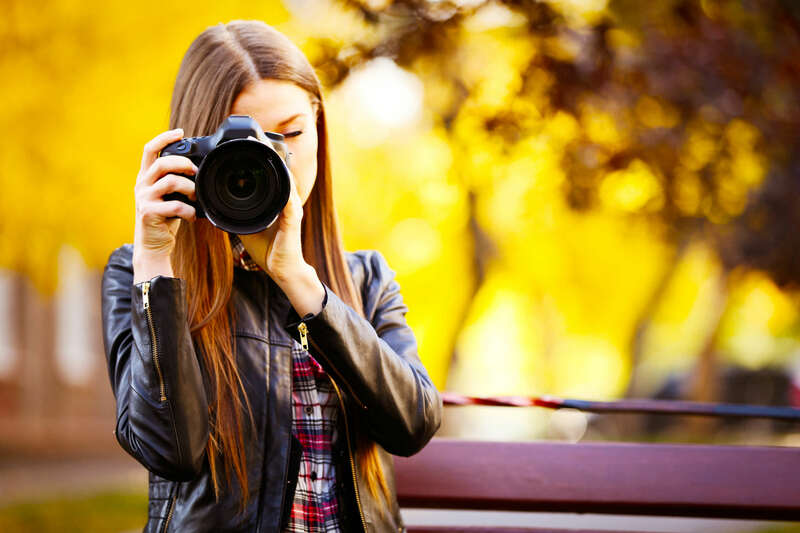 You're probably more than familiar with one of the biggest trends in photography on the web. I'm talking about those cool nature photos, with one or more retro filters on, and a catch line like "nature is my home". Well, this app lets you create them on to go, giving you control over colors and tones as well as some nice typography options. This app is ideal for cleaning skin imperfections. Blemished skin, freckles or bags under the eyes will soon turn to history. First of all, this app was developed by Instagram, and that alone should be a good enough reason to get it. 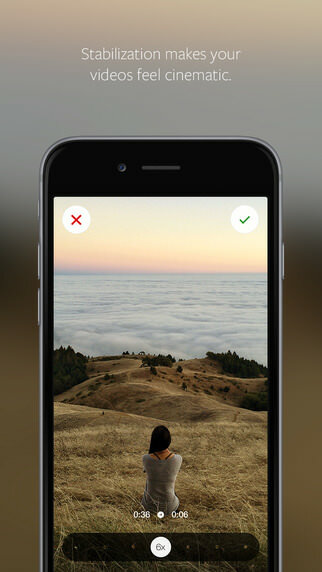 Hyperlapse uses built-in stabilization technology that allows you to create hand held time lapses of cinematic quality. Probably the most annoying thing about using Instagram is that it forces you to stay within the square format. Well, thanks to this app you no longer have to crop your photos, as it will place them on a white square background, ideal for sharing on Instagram. 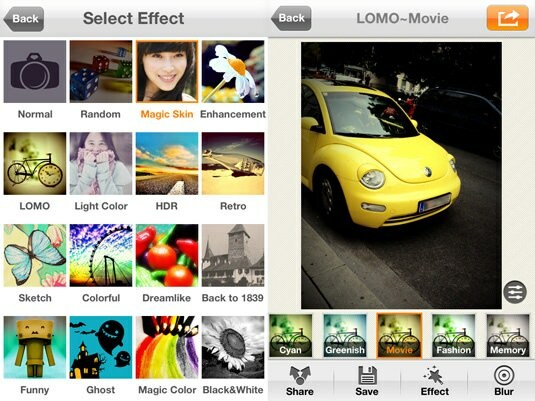 With over 30 filters to choose from, this app is a good alternative to other enhancing tools on the market. 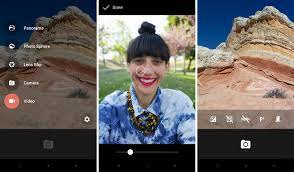 You can also use it to record your voice while you take the picture and it's generally a pretty creative and easy to use app. This editing app created for Android has a simple interface that lets the user manipulate depth of field via a special lens blur feature. 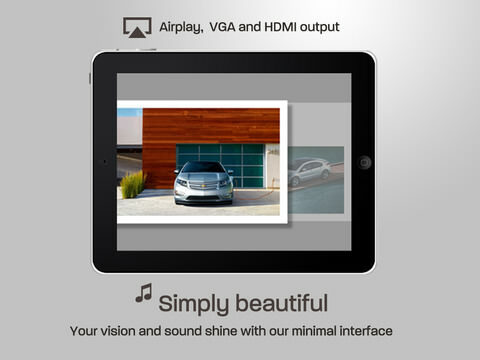 You can also use it to create panoramas, HDR shots and videos. 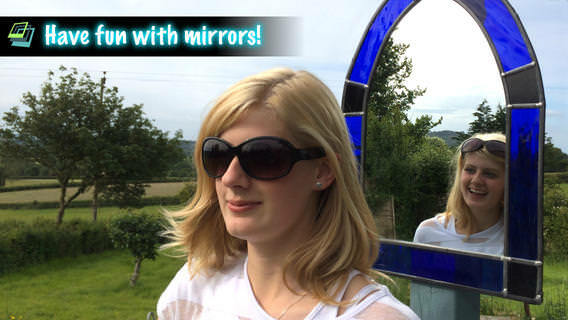 Clone Camera is a photo compositing app that enables you to create an image of a scene with the same person in it multiple times. It helps to have a tripod, but if you don't, at least try to place the camera in a still position. 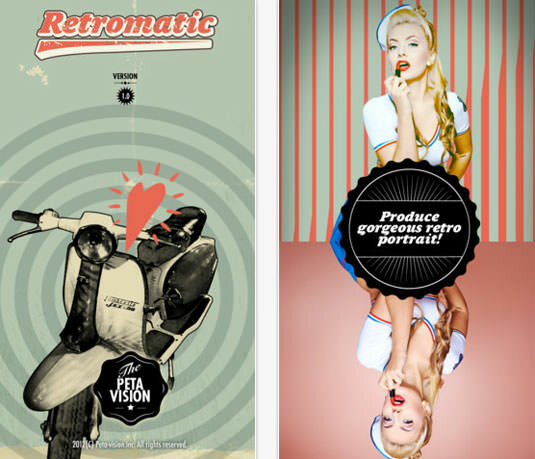 The vintage craze is far from over and this is a great app for everyone who loves the '50s look. It's easy to use, fun and it looks great, but it won't let you do any high end stuff. 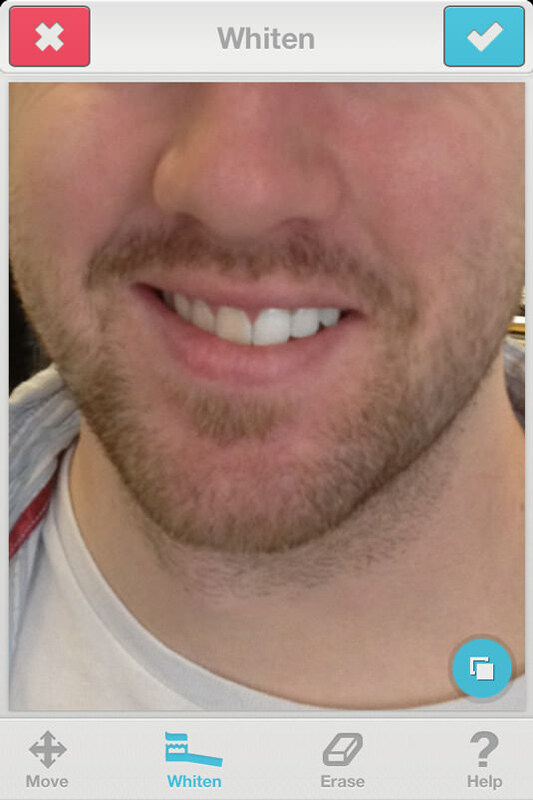 Camera 360 is another interesting editing app which offers a multitude of filters to apply and an easy before/after preview by simply touching the photo. 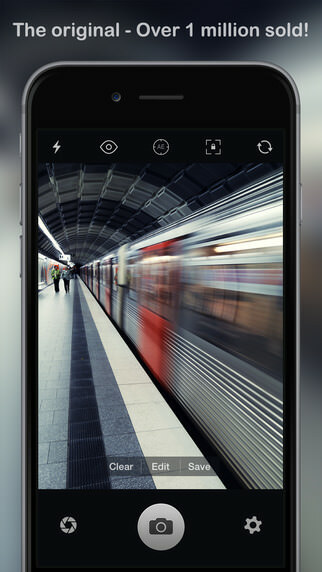 Photo Wonder runs very fast and although it doesn't have the biggest filter selection, it's still enjoyable to use and it's also got some good features like photo booth effects and multiple layouts. 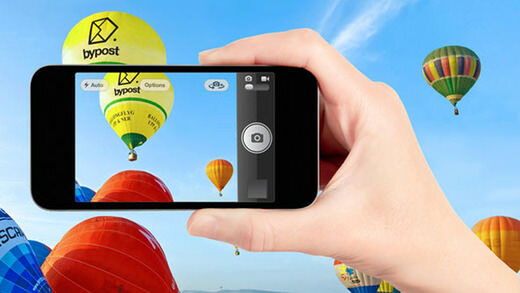 One of the strong points of this app it that it successfully combines advanced mobile photo editing with neat photo decoration functions, while avoiding looking childish. 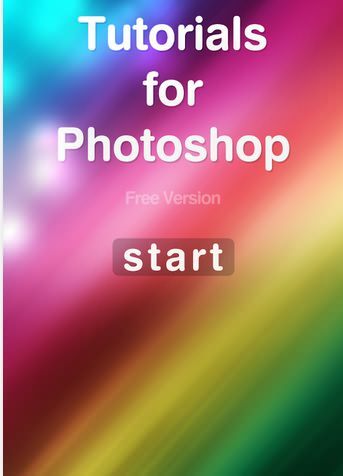 This is a really cool app that will help you create images that look like they've been Photoshopped for hours. 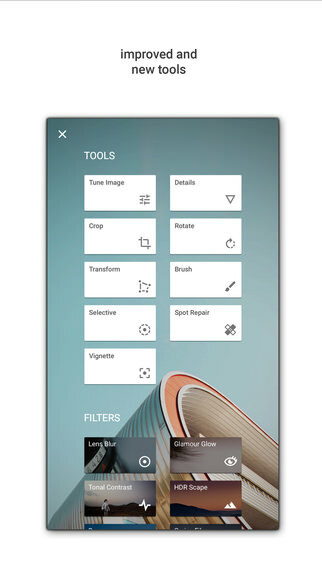 You'll be able to create multiple exposure photographs and blended composites with just a few taps on the screen. The iPad version of Lightroom is fantastic for editing and tweaking your work on the go and needless to say it syncs everything with your desktop version. Honestly this is one of those ‘Must Have’ apps in my opinion. This was one of the first apps I download and it’s one the highest recommended apps for some very good reasons. 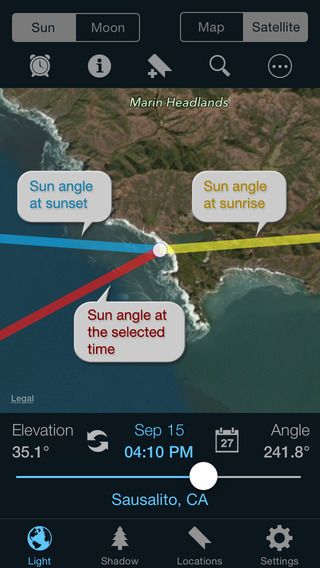 In a nut shell ‘The Photographer’s Ephemeris’ or “TPE” is a brilliant tool that helps photographers plan their outdoor photography in natural light. Short description: it’s a map-centric moon and sun calculator that allows you to see how the light will fall on the land, day or night, anywhere on the planet. 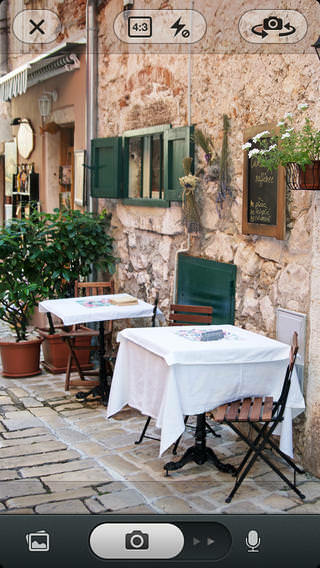 Making your landscape and urban photographs easier to visualize and plan for. 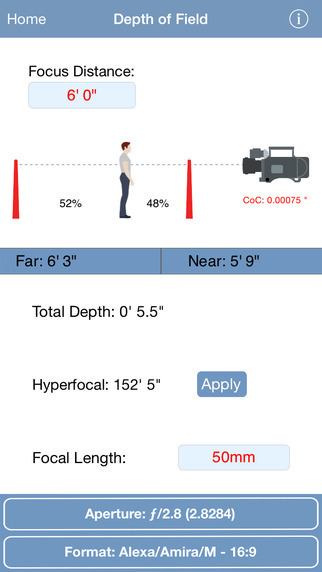 Every serious photographer should use this app because it helps you accurately establish depth of field. 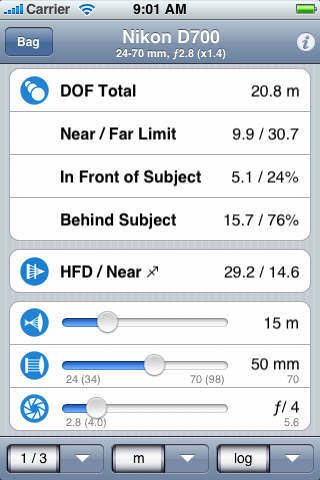 All you need to do is tell it what lens you're using, what aperture and what distance you're at from the subject. This is a great invention and a very useful one. First of all, you need a very affordable cable that will link your smartphone to your camera (there are over 300 supported models). 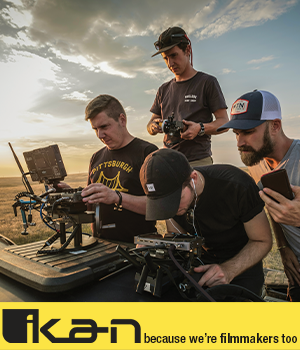 Then you need to install the free app and you're ready for some killer time lapse shots, as well as a bunch of other creative shooting modes that will definitely make you proud. 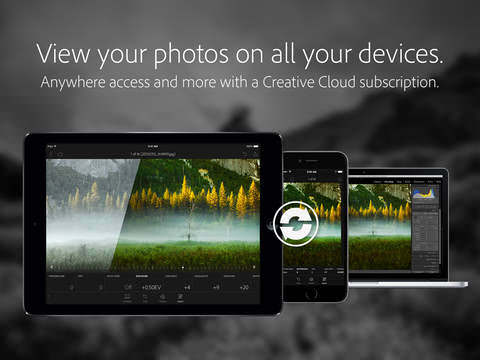 Helios is a must have app for landscape and architecture photographers. Simply put, it will graphically display the position of the sun from dusk till dawn, on any day, anywhere on the planet. 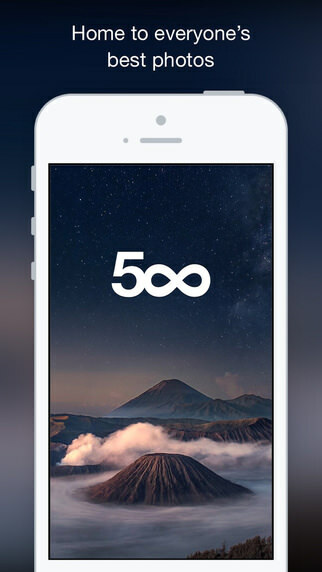 If you're a fashion or stock photographer, you should really consider using this app. Every pro in this industry needs a model release signed by the talent, and this app allows the process to be quick and easy. It's also officially approved by Getty Images, iStockPhoto, Alamy and Shutterstock just to name a few. 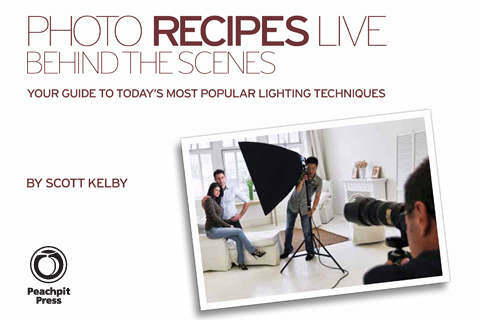 Scott Kelby really needs no introduction for anyone serious about photography. His app features two hours of video as well as a lot of behind the scenes tips and tricks. 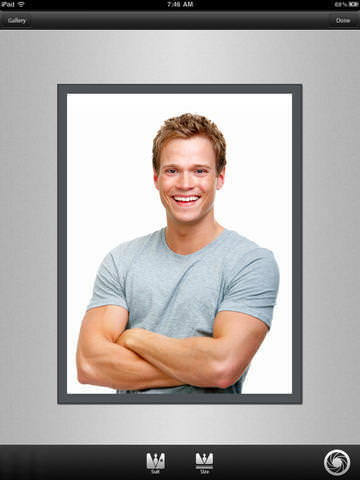 This iPad app is designed to create a very enjoyable, yet practical experience of organizing your photos. It's very easy to use and intuitive and it only takes a few minutes to finish an album that you can work on for hours. 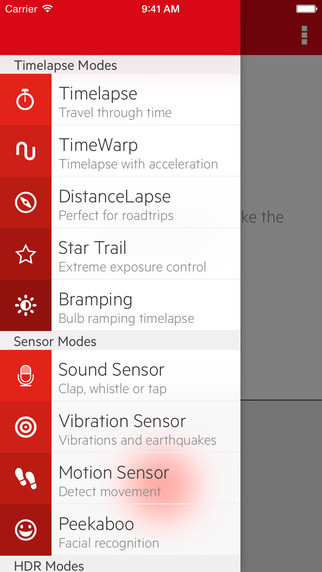 This is one app that will turn your iPhone or iPad into a long exposure camera. 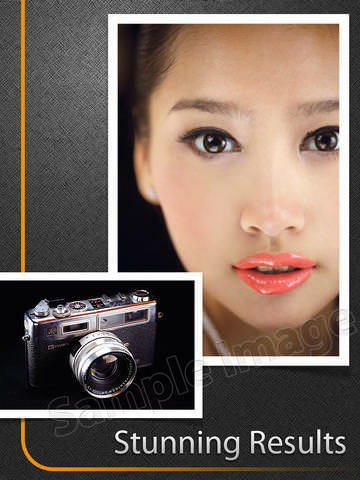 It has multiple creative modes that will push the limits of that small camera. It's good to see that there are apps being made for film photographers. This one let's you use your phone as a light meter and apart from the fact that you can have it everywhere with you, it's pretty accurate too. 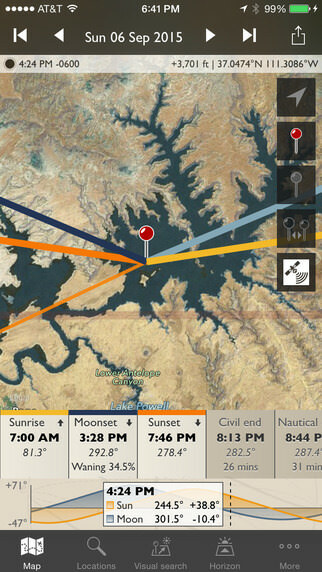 Much like Helios, LightTrac helps outdoor photographers plan their shots ahead of time. It works pretty much the same way by calculating the elevation of the sun and moon, on any given day, anywhere you want. This Android app does exactly what the tile says; it teaches you all kinds of useful stuff to use in Photoshop. Very useful for learners. What this app does is turn your iPad into a portable artificial light source. The results are actually quite impressive if you use it right and it will save you both money and space for a separate light source. Anyone who uses their iPad for client presentations should get this app.It's clean and minimal, just right for putting your work in the best light. 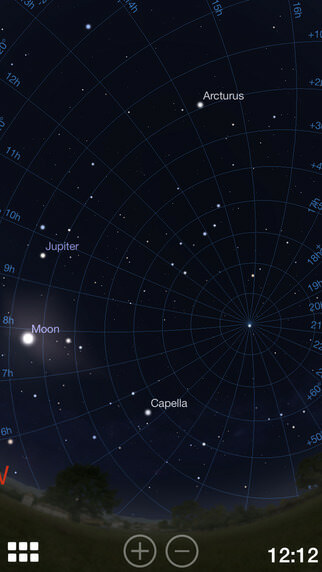 This app is a map of the skies with over 600,000 stars displayed as a real time zoom able map. Its sensor display will enable you to identify what you see with your eyes in a matter of seconds. First of all, this app was originally designed for the Palm (remember those?). Now it makes perfect use of the power of iPhone and iPad. It's basically a bundle of 24 apps for cinematography and photography that will almost replace your assistant. Definitely worth checking out. 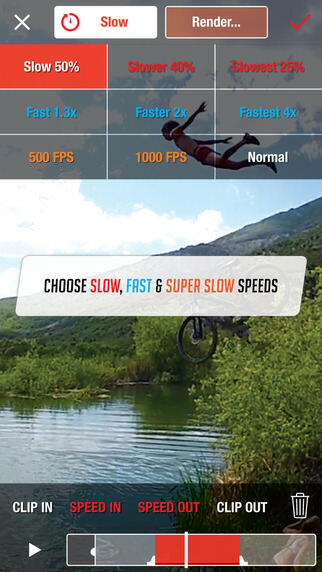 This app lets you shoot high frame rate video and play it back in slow motion. Let's face it, who doesn't love good old slow mo? If you're a photographer, you've most likely been asked by a friend to take a few headshots for their job. With this app, you don't even need to bring your camera anymore as it allows you to take and format professional looking headshots quickly. 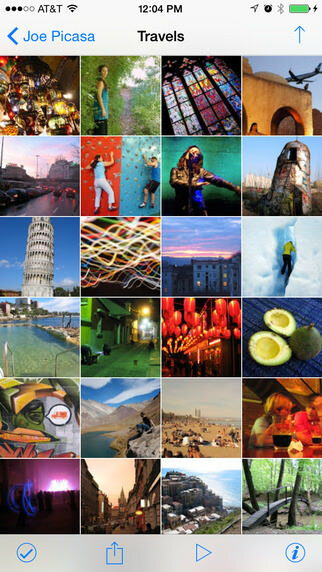 Picasa is a hugely popular photo viewer, manager and uploader that's easy to use and enjoyable. 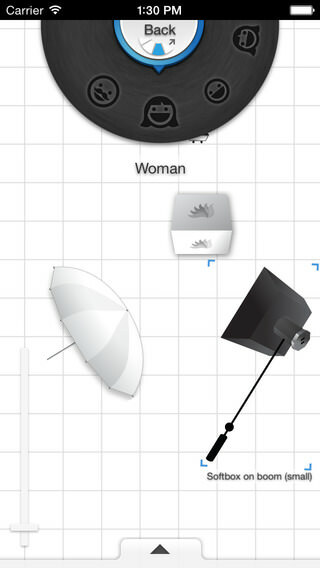 It's a great app for beginner photographers who haven't quite figured out everything about studio lighting. It can be a real helper before a shoot. There's really no need to tell anyone about Instagram, but it doesn't seem fair to put this list together without it. 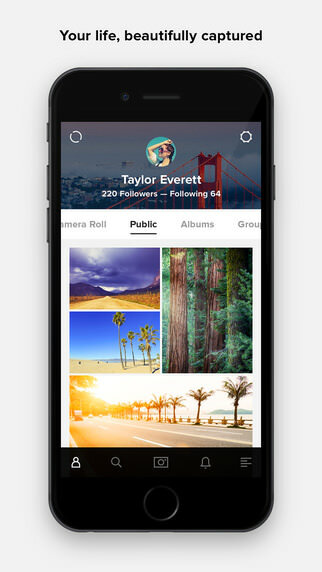 It's kind of like Instagram, but more photographer oriented. 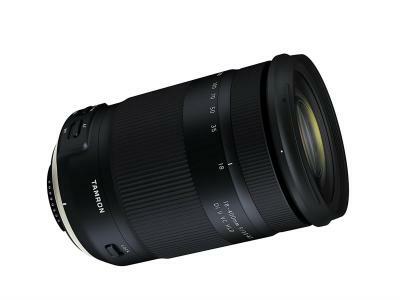 Besides an interesting selection of filters, it has a growing community of photography enthusiasts as well as challenges posted by major companies like Getty and Motorola. It's the place for eye candy and a great source of inspiration for both amateurs and professionals. Flickr is one of the most important online communities for everyone who loves photography and sharing images. It's common sense to have the app. 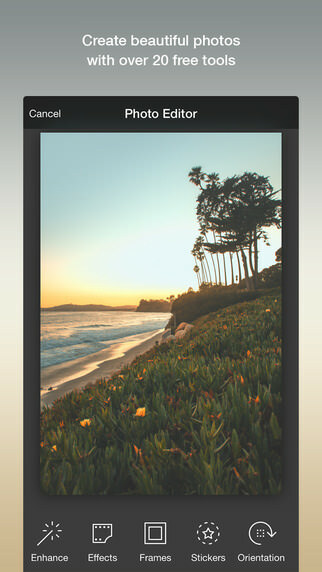 Yes, I know, this app is 90% designed for women users interested in fashion, wedding stuff and pretty flowers, BUT it can still be a valuable source of information and inspiration for photographers. 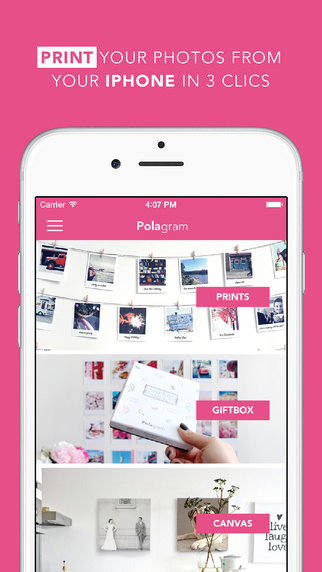 Polagram is a wonderful app for printing images straight from your phone, your Facebook or Instagram account. You can use it to preserve your memories or to make awesome gifts. 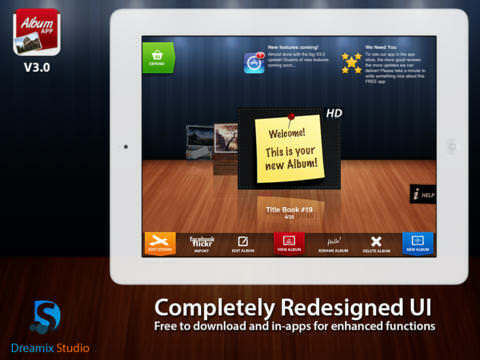 It's another good app for making great gifts. Your job is to send the photo you want the person to receive, along with a personalized message that will be printed on the back. 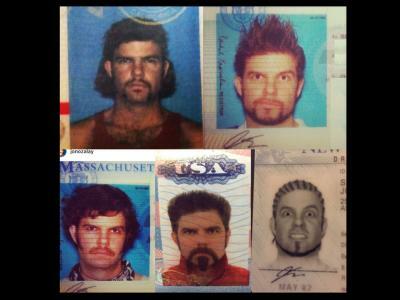 The postcards get delivered quickly, anywhere around the world.